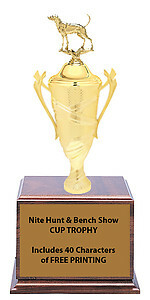 Trophies for your next squirrel hunt or bench show. 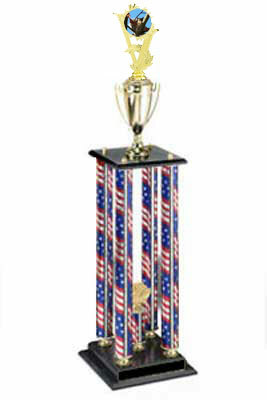 R2 Squirrel Hunt Trophy with a single round column and trim. 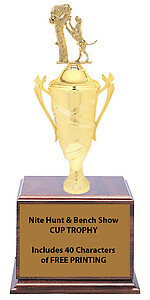 R2R Squirrel Hunt Trophies with a single round column, riser and trim. 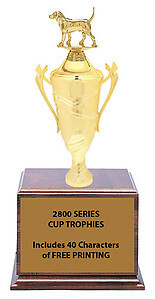 S3 Squirrel Hunt Trophies with a single rectangular column and trim.